A married father with two children Conor has been a lifelong Camlough resident, has a deep passion for the GAA and is an active member of his local GAA Club, involved in coaching and underage football for many years. 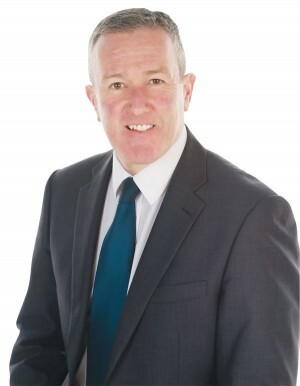 Conor is a key member of the Sinn Féin negotiating team with particular responsibility for institutional issues and has represented the party at the Hillsborough, Leeds Castle and St Andrew’s negotiations as well as playing a key role in the Fresh Start agreement negotiated at Stormont House. In 1998, after serving as a Newry and Mourne councillor for eight years, he was elected to the Assembly where he chaired the Assembly Committee, was the Party Chief Whip and also held the position of Group Leader of the Sinn Féin MLAs. He was re-elected to the Assembly in 2003 and has been the Sinn Féin spokesperson on Education, Equality and International Affairs at various times. He is currently Sinn Féin’s spokesperson on all-Ireland economic matters. In 2005 Conor Murphy created history when he became the first Irish Republican to be elected as MP for Newry and Armagh. He then went on to retain the seat in 2010. Following his re-election to the Assembly in 2007 he was appointed the Minister for Regional Development, a position that he held until 2011. In 2012, as part of Sinn Féin’s commitment to ending double-jobbing, he left the Assembly to concentrate on his role as an MP. He returned to the Assembly in 2015 when Mickey Brady was elected MP for the constituency. Since re-entering the Assembly he has been a member of both the Enterprise, Trade and Investment Committee and the Public Accounts Committee.